There was a time not so many years ago when the collector could not buy meteorites from the Moon or from Mars. There were none from the Moon except the samples returned by Apollo astronauts. There were only three meteorites from Mars and they were and still are so expensive that they are beyond the budget of many collectors. Fortunately, that is no longer the case. There have in the last few years been recovered from the deserts of the world dozens of meteorites from both the Moon and Mars that are available for the meteorite collector. These meteorites have all gone through rigorous testing and analysis to verify that they truly originate on the Moon or on Mars. We offer some wonderful samples here in beautiful display boxes that will make these specimen treasured items in any meteorite collection. TOP Meteorite is a trusted source for rare and significant meteorites of exceptional quality. They also offer a unique selection of exquisite meteorite jewelry. TOP Meteorite is happy to assists with appraisals, institutional curation, acquisitions, specimen restoration, and private expeditions. TOP Meteorite is a science forward meteorite company founded by author, researcher, hunter, and educator Dustin Dickens. Dustin brings a strong scientific aptitude to TOP Meteorites’ approach to curation, focusing on martian and lunar meteorites, ungrouped achondrites, and primitive & carbonaceous chondrites. Dustin is continuing his education in meteoritics with a focus in geochemistry. 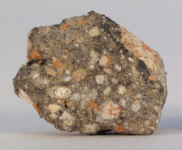 TOP Meteorite offers institutional research discounts on all specimens. Jim and Paul have been offering meteorites for sale on the Internet since 1996. They guarantee the authenticity of every specimen they sell and they only buy meteorites from select trusted sources . They update their catalog often and have a wide variety of meteorites to choose from in all price ranges. They also have a large variety of impactites and tektites for sale. Many of the tektite specimens are from the Darryl Futrell Collection of Tektites. Please stop by for a visit and join our mailing list for newsletter updates and discounts. NWA 998 is an extremely rare example of a Nakhlite and one of the very few available to collectors. Its dark olive or black pyroxene crystals and light olive or tan olivine crystals are easily seen without magnification. The serpentine surfaces of the olivine crystals definitely indicates this molten rock interacted with water; and the large crystal size indicates an extended cooling period in a thick lava flow. These very obvious features strongly suggest this liquid magma interacted with steam in a volcanic eruption and then slowly cooled in a thick lava flow near a shield volcano on Mars. NWA 7397 is chemically classified as a Shergottite, but looks completely different. There are none of the typical cigar shaped pyroxene crystals in a flow pattern. Instead, there are big 1-2mm rounded pyroxene crystals containing olivine crystals. There are also many large transparent quartz crystals present, as well as plagioclase shock melt glass veins. The large crystal size, presence of crystals within crystals, and melt glass veins strongly suggest this meteorite may have originated from a magma chamber near the Martian surface that experienced multiple periods of cooling and remelting. View our Moon Rock Lunar Meteorites for sale on our website. These quality lunar meteorite display boxes make nice additions to your meteorite collections as well as wonderful and unique gift items. Each display box contains a genuine specimen of Moon Meteorite. We still have a supply of Mars Rock Martian Meteorites for sale on our website.These quality martian meteorite display boxes make nice additions to your meteorite collections as well as wonderful and unique gift items. Each display box contains a genuine specimen of Mars Meteorite. 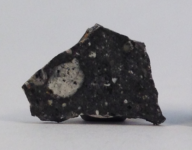 We have some fragments of Tissint Mars meteorite for sale which have a fresh shiny black fusion crust with a greyish interior color containing sporatic areas of black glass and pale yellow olivine macrocrysts.